St. Louis, Missouri Comments: This is actually a very tough AB tray to find. This picture does not do this tray justice. It is much nicer in person. A nice eBay pick when everyone was sleeping. This tray comes in a 12" and a 13" version. . A must for any AB collection in my estimation. 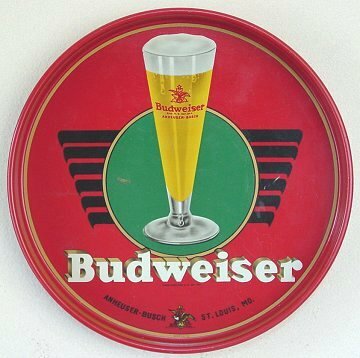 Trivia Answer - Question #21: This tray is know as the "Eagle Claw".